Living in Montréal means that I often act as hostess to various friends and family visiting the city. My guests usually know what they want to do while they’re here — visit cool bars, go to the Old Port, and eat poutine at 4 am. Often, however, they have never heard about the Tam Tam sessions in Mont Royal so if we have a lazy Sunday in the works we’ll make our way over to the mountain after brunch. It’s hard to explain, though, what the Tam Tams are about and really, even, why we should go and see this event. Hippies drumming and free-flow dancing in a circle? I admit, it’s not for everyone but it’s a big part of this city and it’s a different part of Montréal living that I like to expose my guests to if they’re open to alternative cultures. 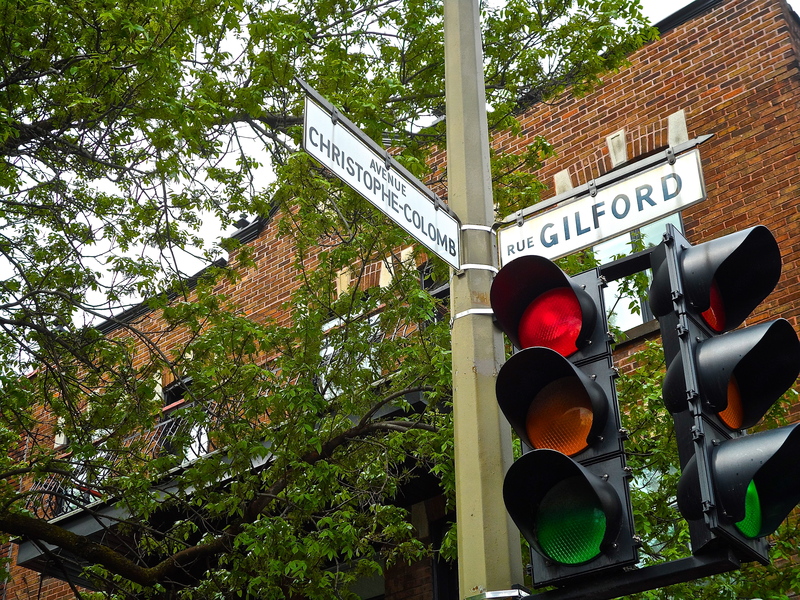 There are a few cute restaurants in the Plateau neighbourhood here in Montréal that are tucked away on a residential street called rue Gilford. I live in the neighbourhood so I have frequently walked past the five or so restaurants that run on the street between rue St. Denis to the west and rue Papineau to the east. I always wanted to try out the neighbourhood spots and had the opportunity to do so when I had a celebratory dinner at La Raclette a few months back. Since then, I heard La Raclette now serves brunch so we had to pop in to try their morning menu and then we made a point of trying the restaurant’s neighbours along the street. In addition to La Raclette, we dropped by Maison Publique and Le Chien Fumant to try out the different types of brunch offerings from the three unique establishments. The notable jazz musician died in 1991 but if he were alive today he would have turned 87 years old. The song in the video, Jeru, appears in Davis’ classic album, Birth of Cool. Birth of Cool, first issued in 1957, was one of the first jazz albums that I purchased and listened to in its entirety, introducing me beyond vocal jazz masters such as Ella Fitzgerald and Billie Holiday, whom I already loved. The trumpet player and composer was prolific during the fifty or so years he was active and continues to influence musicians today. Click on the above video for a mellow and easy going tune for a Sunday afternoon. Parc Sir-Wilfrid-Laurier (“Parc Laurier”) is one of my favourite parks in Montréal. It is situated in the Plateau neighbourhood on the north side of Laurier between Rue de Mentana to the west and Rue de Brébeuf to the east, and enclosed at rue Saint-Gregoire to the north. 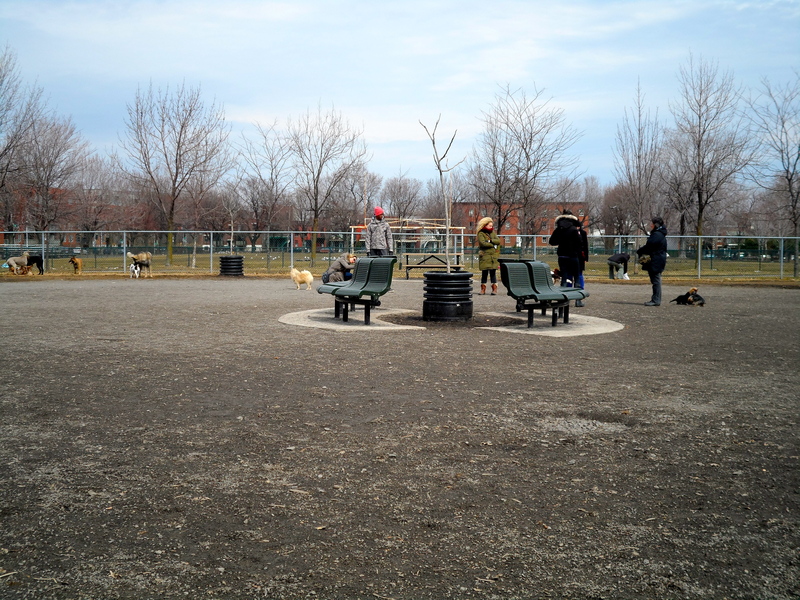 Here in Montréal, the parks are loved. They are used to their fullest, even in the winter. 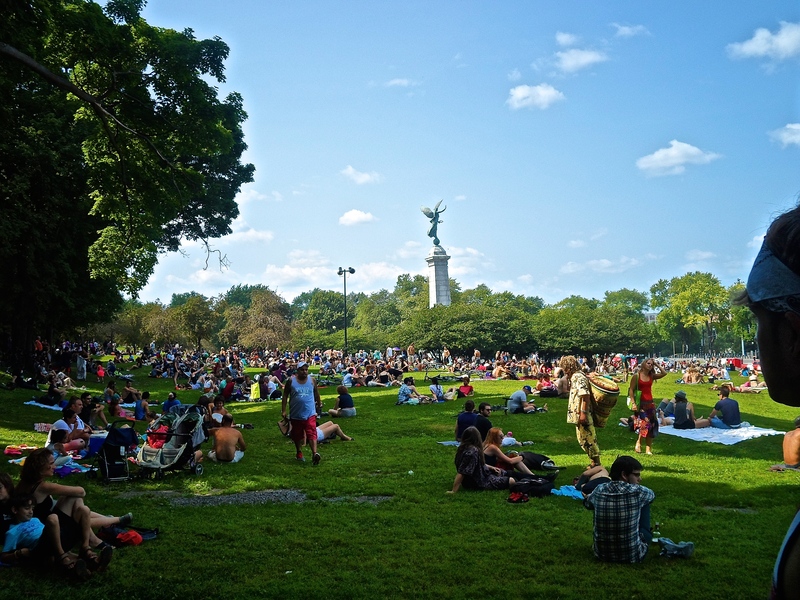 Parks are an important element of every neighbourhood and are vast green spaces used by surrounding residents. A hockey arena or two are erected in the cold months, and often the park administrators will pool water into a corner for free ice skating. In the warmer months, families and friends bring bottles of wine to sit in the grass and share a meal, amateur acrobats practice juggling and tightrope, and various organized sports are in session. It often seems that everyone in the neighbourhood are out and in the park, so much so that there is nary an empty spot in the parks. As one Québécois friend explained to me, because the residences in the city rarely have their own backyards the neighbourhood parks are instead used as an extension of their homes.